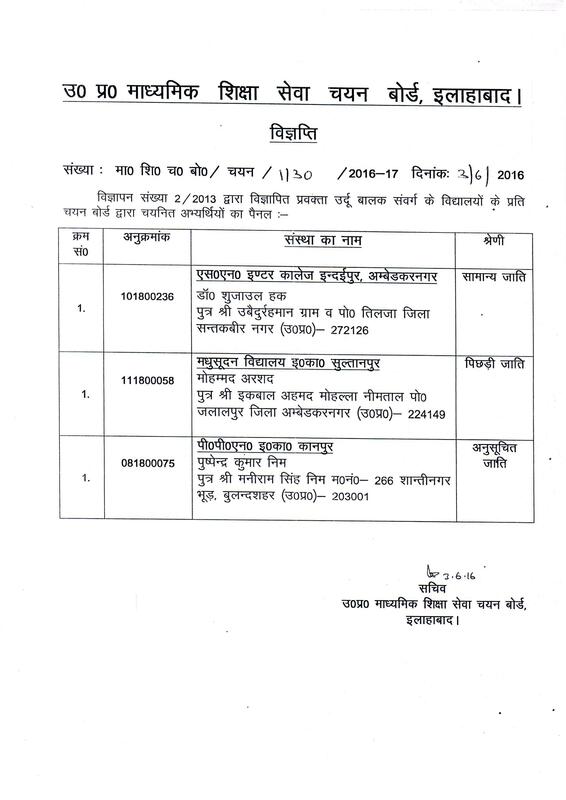 Archives: Earlier Uttar Pradesh Secondary Education Council has recently announced 9342 Posts for LT (Licentiate Teacher) Grade in Rajkiya Inter Colleges for various Subjects. Candidates who are ignorant about selection process & merit list preparation method, We are providing Selection Process & Merit List Preparation Method for Assistant Teacher LT Grade. 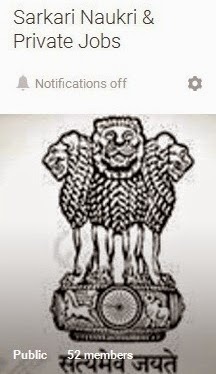 Subjects are :- (i) Hindi (ii) English (iii) Maths (iv) Science (v) Social Science (vi) Computer (vii) Urdu (viii) Biology (ix) Sanskrit (x) Art (xi) Music (xii) Commerce (xiii) Physical Education (xiv) Home Science (xv) Agriculture. Selection Process:- Selection Process is strictly based on Merit List prepared by UP Secondary Education Council. Based on Merit of candidates, they will be called up for Counseling. Final Selection will be based on Merit of the candidate. 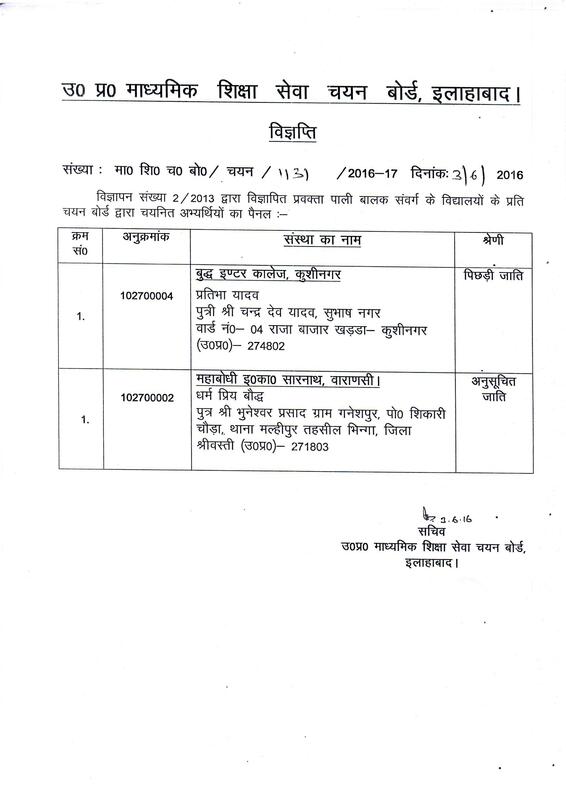 These 9342 vacancies are announced to fill vacant posts of the above given subjects in the UP government colleges. Candidates who have completed graduation/ have done LT or B.Ed will be applicable to take part in the counseling which will be scheduled later. ► Merit List will be Prepared based on the % of Marks in High School, Intermediate & Graduation. 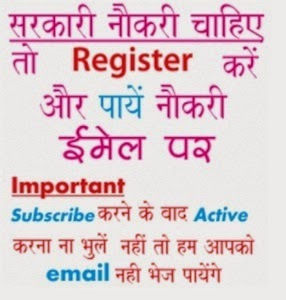 ► Marks of Training in LT/ B.Ed will also take into account. All the Marks will be added, which will be countable from 100. Nearly 27 Lakh applications are received by Board and Merit List may goes upto 70%. As per sources the LT Grade 6645 Post Counseling can be done through Written Test instead of Merit List. The UP State Government invite proposal by UP Secondary Education Service Selection Board (UPSESSB) at the earliest. Then proposal will approve in cabinet to change the rule book of UPSESSB for selection of LT Teachers in Government Inter College. Important Note: Now B.P.Ed qualification is required for LT Grade Teacher for Physical Education not D.P.Ed. In the Government Secondary Schools for Physical Education Teacher, Essential Qualification is B.P.Ed not D.P.Ed.